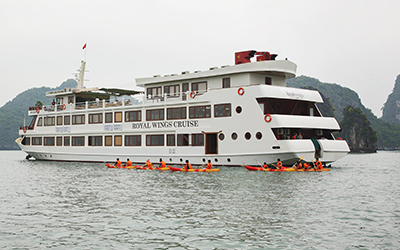 Newly open in January 2015, the Royal Wings Cruise is truly a luxury 5 star cruise in Halong Bay. 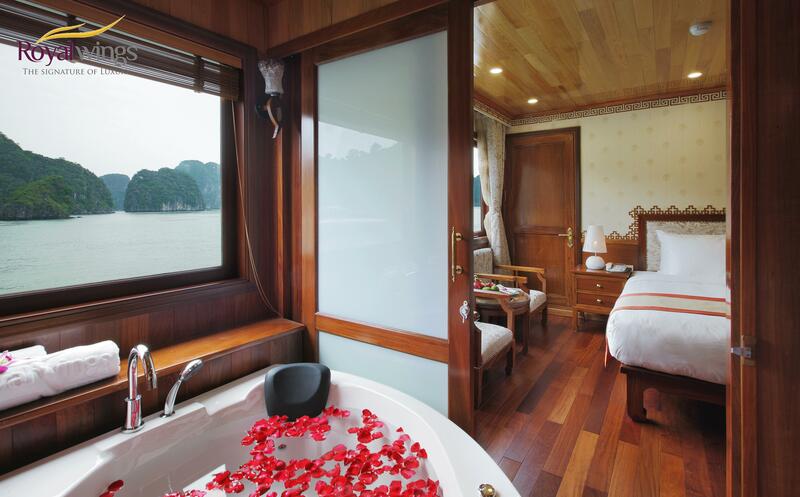 Our services include Halong Bay package tour with cruising through-out Halong Bay - the world heritage, taking the spectacular views of the thousand beautiful Islands and peaceful theme of the Bay, as well as tasting the best Vietnamese & international Cuisines made by our experienced chef board. 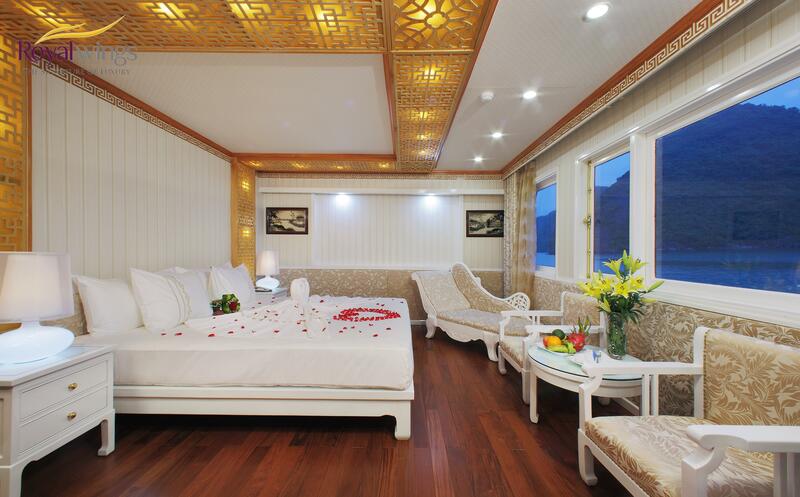 Its has the banquet for parties and meetings/events, as well as a fitness center, a sauna and other massage services and double Jacuzzi bathtub in all room. 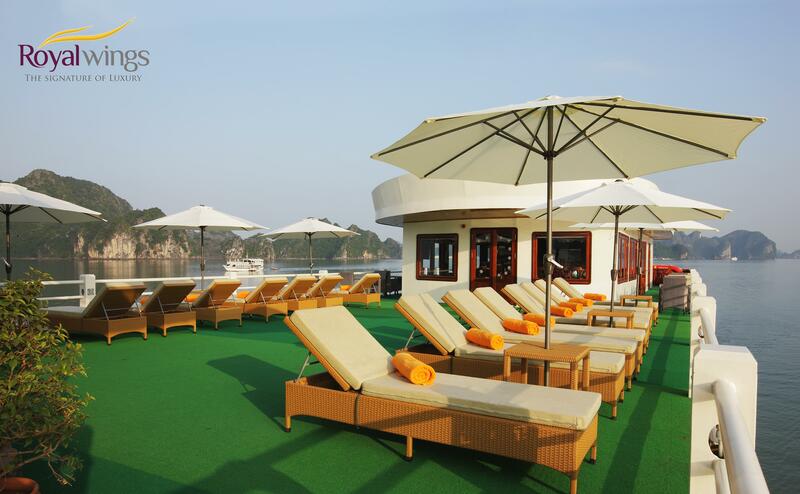 We provide the special itinerary tour program, that guests can explore the Halong Bay in different way and less touristic route Guest are not only seeing the fish village, but catching fish as a real fisherman in the fishing boat is a must try. 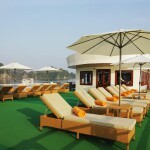 We are bringing the best experiences as first rate choice for both leisure and business travelers. 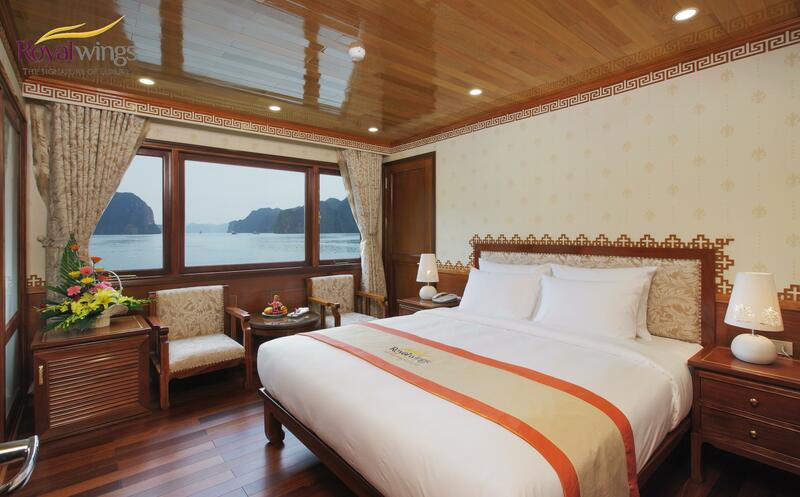 Executive room: When you are looking for the most convenient and luxury tour package in Halong Bay – the Executive room at Royal Wings Cruise would be the first choice that you should not miss. 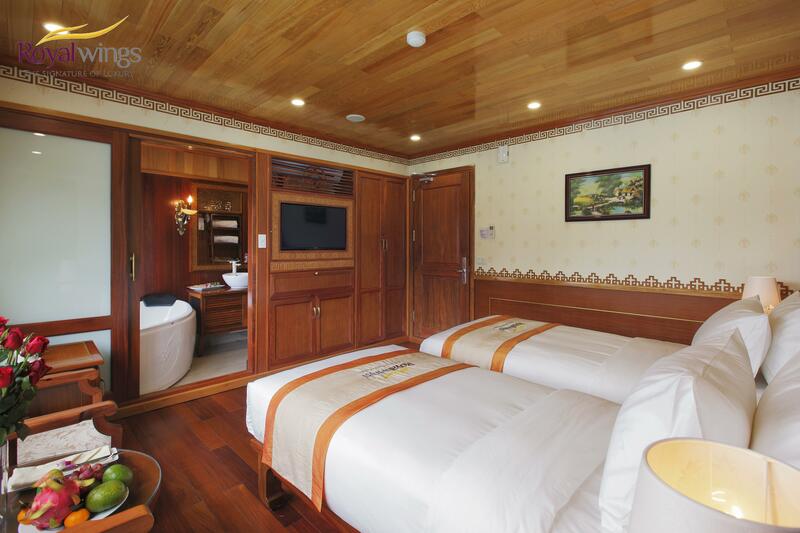 Spacious room size from 26sqm with double Jacuzzi bathtub, large flat TV with Movies & entertain programs are the best experience for all guest. 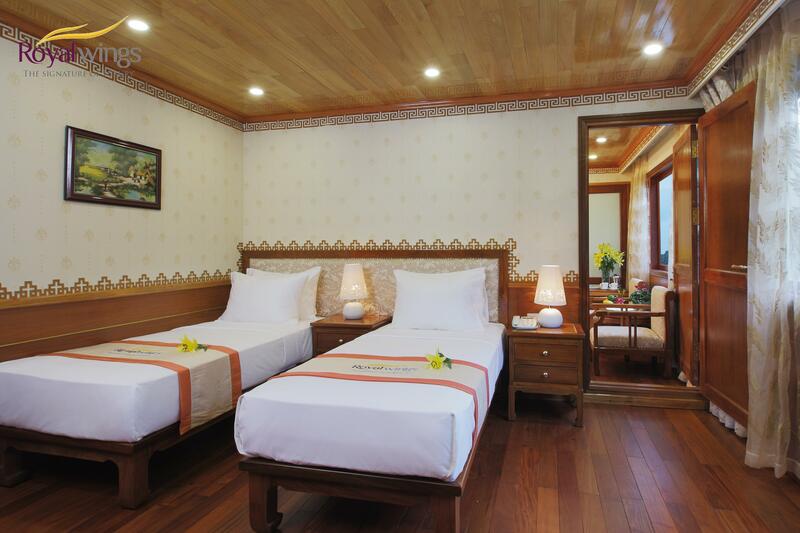 King bed or Twin bed room are available upon guest request. All room provides with the large windows open to the sea-view. Guest can take seat on the sitting area in room and viewing the spectacular view of the bay, this makes guest feel like sitting on a private balcony without disturbing from others. 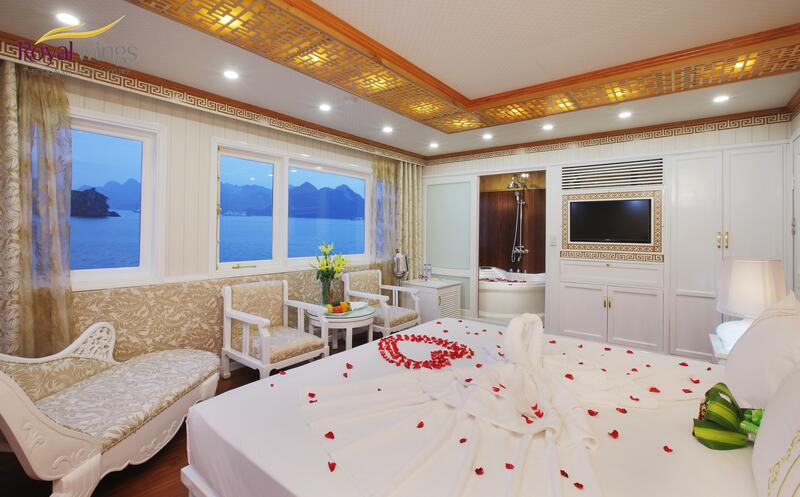 Splashes of opulence catch your eyes as you walk into our supremely spacious Suite room – the highest luxury Suite room at Royal Wings Cruise. The furniture and decoration are in the classic style, it provides an ingenious blend of luxury and private living as a taste of the Royal lifestyle experience. 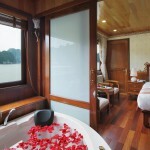 The style of King bed, sofa chairs and Jacuzzi are highlights for this type of room. 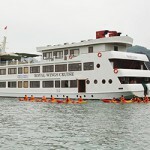 Fullboard meal, kayaking, swimming, Squid fishing, cooking class, Tai Chi Lesson, Flower- carving fruit, board games. 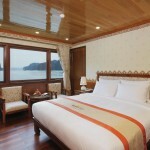 Halong bay, bai tu long bay, Vung Vieng Fishing Village, Ban Chan Beach, Thien Canh Son Cave, Cong Dong- Cong Do area.